If you think every part of the Mexican Caribbean means partying, spring break and big resorts, you're definitely mistaken. There are places like Puerto Morelos, which has remained among the favorite spots of travelers who always look for a little extra, thanks to its relevance and impact on the environment, as well as its beauty. 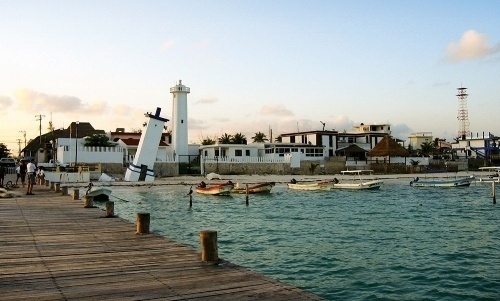 Puerto Morelos is a small town, with a relaxed, but not boring, atmosphere. 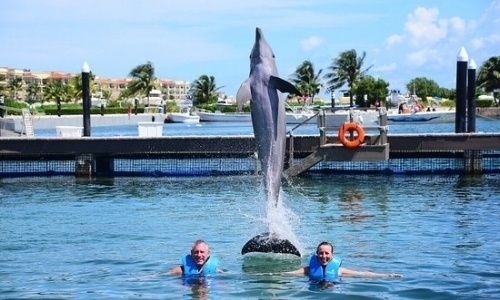 There is always something to do, from simply relaxing, to go swimming with dolphins. The area that faces the ocean, 2 km from the Cancun - Playa del Carmen freeway, resembles an island but an island full of restaurants. It is 4 large blocks wide and 15 blocks long and is where most of the condominiums and small hotels are located. ‘La Colonia. This part is on the opposite side of the sea, west of the freeway that goes from north to south. Here you can enjoy local foods and shops, this means you can discover the flavor and essence of Puerto Morelos. Puerto Morelos is ideal for those looking to stay in small hotels without crowds, as is the style of this picturesque coastal city. This does not mean that the fun will be reduced, on the contrary, for those who like exclusivity and secluded places, we have spots like the Hotel Marina El Cid Spa & Beach Resort. 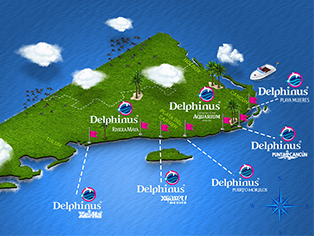 Another example of this exclusivity is Delphinus Puerto Morelos, with practically new facilities and where dolphins coexist in the sea. This place was awarded last year during the XXXIII Congress of the Association of Zoos, Breeders and Aquariums of Mexico, in the port of Veracruz, as the best precinct in the country for respectful and educational interaction with bottlenose dolphins. Delphinus is also one of the four institutions in the world - and the first in Mexico - to obtain the Humane Conservation™ certification from the American Humane Association, AHA, for the treatment given to its animals. These are not the only rewards that this beautiful place has had. However, acceptance and the trust of the people are the best rewards. If you've never had the chance to experience swimming with dolphins, Delphinus Puerto Morelos is the perfect place to do it. And if it is not your first time, you will live the adventure on another level. Come and soak up the essence of the Mexican Caribbean, book now!